Richard J. McIver was first appointed to fill a vacancy on the Seattle City Council in early 1997 and was subsequently reelected to three full four-year terms in 1997, 2001, and 2005. Councilmember McIver, was a fifth-generation Seattleite, was born on June 14, 1941 to Mildred Artis-McIver and William McIver, II. He attended Horace Mann Elementary School, graduated from James A. Garfield High School, and earned an interdisciplinary BA in Community Development, with major emphasis in finance and urban planning, from Western Washington University, Fairhaven College in Bellingham. 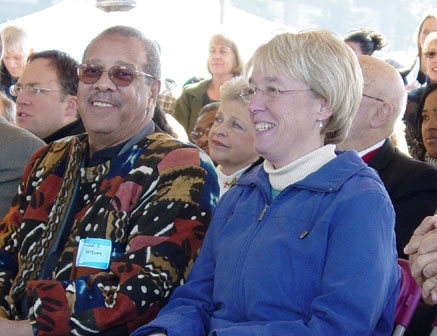 In 2003, he was named “Distinguished Alumnus” by the Western Washington University Alumni Association.Councilmember McIver chaired the Council’s Housing & Economic Development Committee. McIver and served on the board of the Washington State Housing Finance Commission, a quasi governmental agency working to increase housing affordability and access through the promotion of homeownership and the development of non-profit low income housing. He also served on the Puget Sound Regional Council’s Economic Development and Operations Committee. Immediately prior to his 1997 appointment to the Council, McIver was Executive Director of the Washington Association of Community Economic Development (WACED), a statewide association of community-based non-profit organizations committed to revitalization of disadvantaged communities. McIver also served as Development Director for the Tacoma (Washington) Housing Authority, where he was responsible for acquisition, rehabilitation, development, and construction of affordable housing projects. In 2009 McIver chose not to stand for reelection. He sufferered a stroke in 2010 and died in Seattle on March 9, 2013. He is survived by his wife, Marlaina Kiner-McIver, an attorney, and a daughter and son.